Come see the “fruits” of ATP and take a Green Tour to our Karin nursery where we grow thousands of trees. 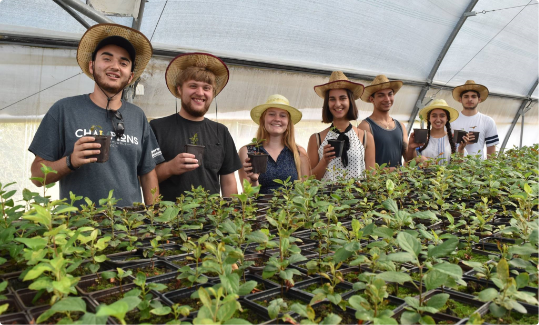 Check out more than 50 species of trees and shrubs at our Mukjian Greenhouse, then stop by the Ohanian Environmental Studies Center to see where we teach children, parents and teachers about the environment. 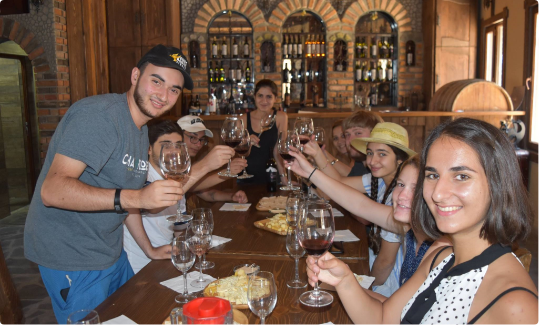 Cap off your tour by planting your own tree at Ashtarak Park or sipping wine at Voskevaz Winery. All tours include a light lunch and duration is 3 hours including travel time to and from Yerevan. All tours are offered daily and include a light lunch plus transportation to and from Yerevan.